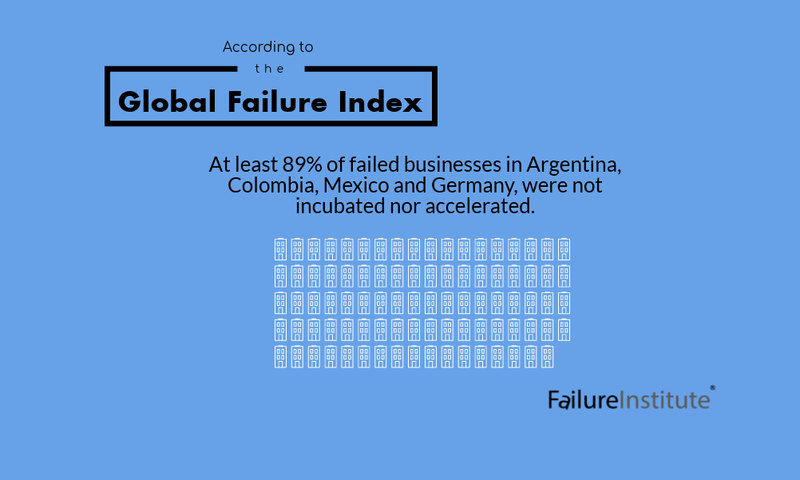 The Global Failure Index is a platform that geo-locates business that failed along with 33 variables which include information regarding the entrepreneur’s profile, business’ profile, external support, and closure details. In 2017 we reached more than 1500 failed businesses thanks to our data partners, our investigations and certainly our Fuckup Nights community. 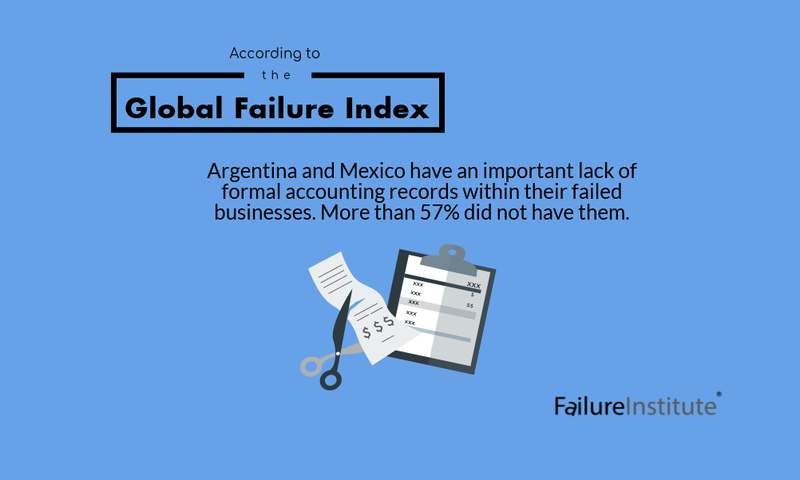 This interactive report has a detailed analysis on Argentina, Colombia, Germany and México, which are the countries that gathered the most cases for the GFI this year. The individual reports are followed by a set of comparative insights on the four countries. 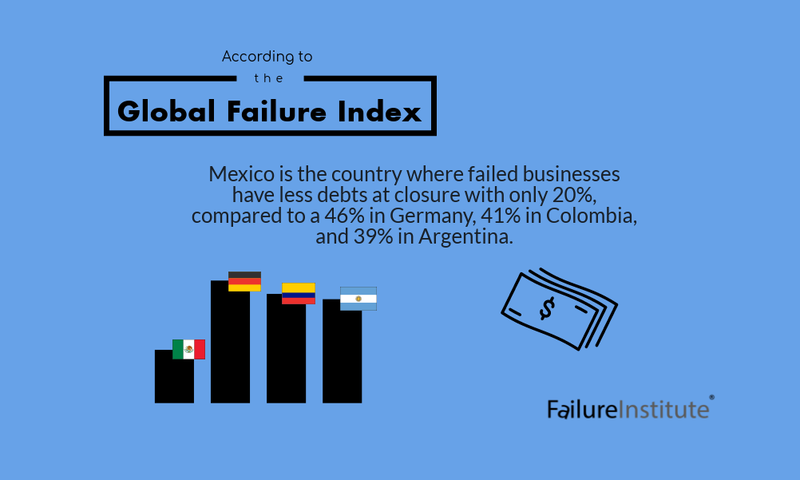 Part of the vision of the Failure Institute is to contribute and participate in the construction of a wider definition of failure. This platform aims to be a practical tool for entrepreneurs, policy makers, academics and civil society – allowing them to make better informed decisions, based on the analysis of failed businesses. *For a closer look at the graphs, clic on the diagonal double-headed arrow (⤢) at the bottom of each country’s chart. 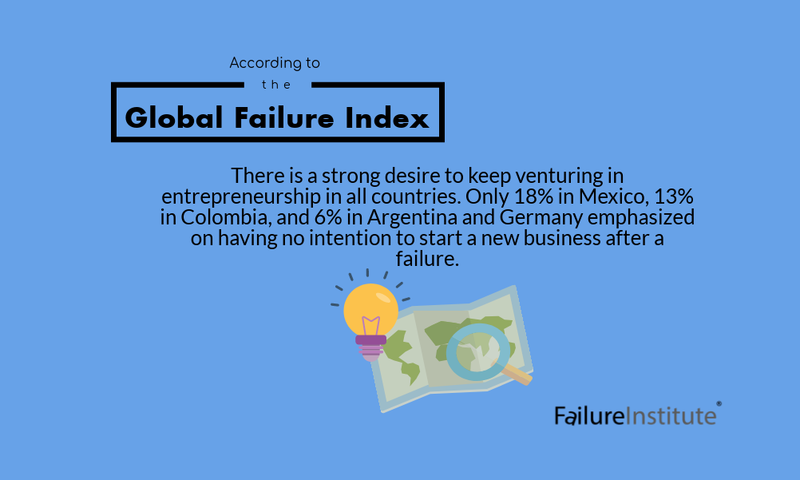 After a business failure, most entrepreneurs focus primarily on working for somebody else, keeping the desire to start a new business (22%).